Time to spot the Picassos and da Vincis nearby Coimbatore! 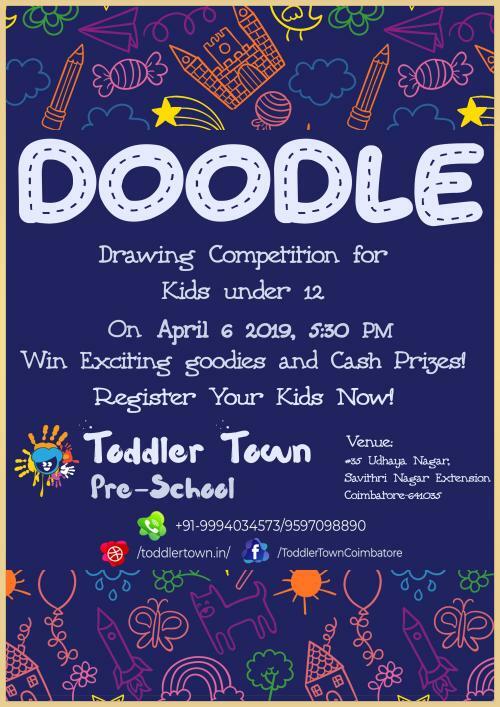 Here is an opportunity to be part of Toddler Town Pre School drawing competition and win exciting cash prizes. Do call and register right away to participate. Venue : 35 Udhaya Nagar, Savithri Nagar Extension, Coimbatore 641035 On April 6, 2019 at 5.30 pm for Kids under 12 years of age. Interested to participate. Kindly share me the details.